The Tyler Park Arts Manabigama (Japanese for “beautiful learning kiln”) is a single chamber wood kiln designed to be efficient, and give beautiful results. The kiln reaches Cone 10 over a firing of 24 hours. A diverse range of atmospheric and ash glaze effects are achieved in this relatively short firing time. Community firings are split into “Shares”. One share is 4 cubic feet, about the size of a 30 gallon plastic tote full of work. Please click more to see more information & register below – and bring your willingness to experiment! Participants may glaze and and work the Friday before the firing. Loading the Kiln will begin 9AM. The door should be closed up by 3 and we will start firing at that time. We will start with a small camp fire, and build a coal bed. Firing will last for around 24 hours and we will divide the work stoking into 5 hr shifts. The Unloading with be the following Thursday when the kiln is cool. 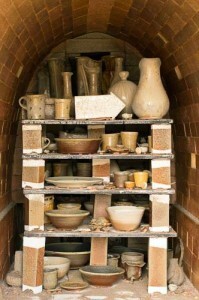 We will clean and wash the kiln shelves and sweep out the kiln firebox for the next firing. Limit Per Firing: 8 full shares, 4 cubic feet, about the size of a 30 gallon plastic tote full of work per share. Shifts: Participants must sign up for shifts stoking the kiln during glazing on Friday, or Saturday as the kiln is being loaded. Firing Supervisor: Nathan Willever will lead firings and instruct glazing, loading the kiln and stoking patterns. Provided with your share: Flashing Slip, Glazes, Wadding, Cones, Wood, Firing leader. Price: 180$ per full share 90$ per half share. Please register below – and bring your willingness to experiment! To sign up for a firing, or to get information about the kiln, complete the registration form below or contact Nate. Payment must be received no less than 3 weeks prior to firing date to reserve your space. If you prefer to pay by check, it can be made payable to Tyler Park Center for the Arts can be mailed to TPCA Wood Kiln 10 Stable Mill Trail, Richboro PA 18954 along with printed registration from confirmation email. Time slots are 5 hours long, actual stoking time is 4 hours. You will be observing for the first and last half hours of your scheduled time. This observation time is important as it informs the new stokers of everything they need to know about the kiln and its progress. This observation process is for everyone, even if you are a seasoned stoker. Please note, signing up for a time slot is a commitment! You must arrive on time and stay the entire shift. We will always have enough people per shift as to be considerate of physical limitations. Stoking is calmer and the atmosphere is cooler during the first three shifts. Private Rental & Mentored Workshops: Fully mentored group workshops are available. This is a great option for guilds and groups of potters who want to be fully involved in the process of firing their work. 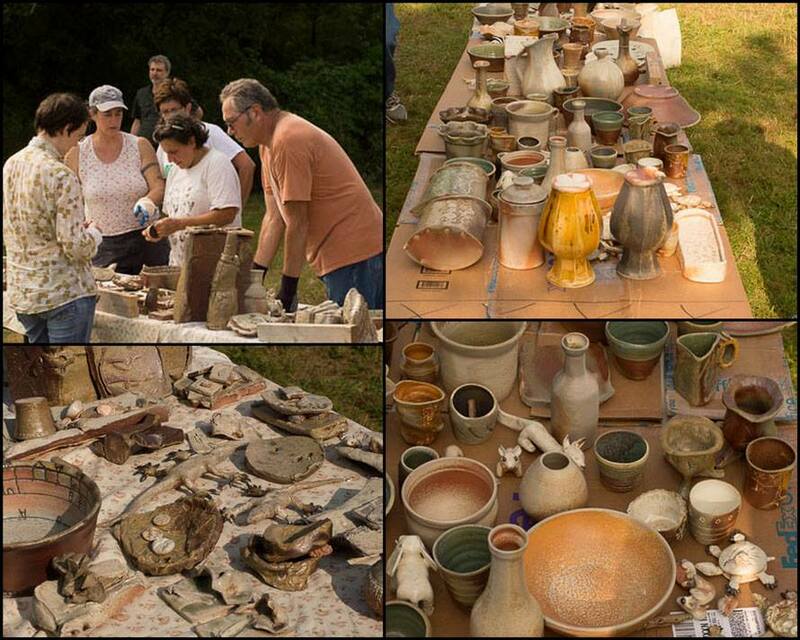 Participants arrive with their bisqued and glazed ware. 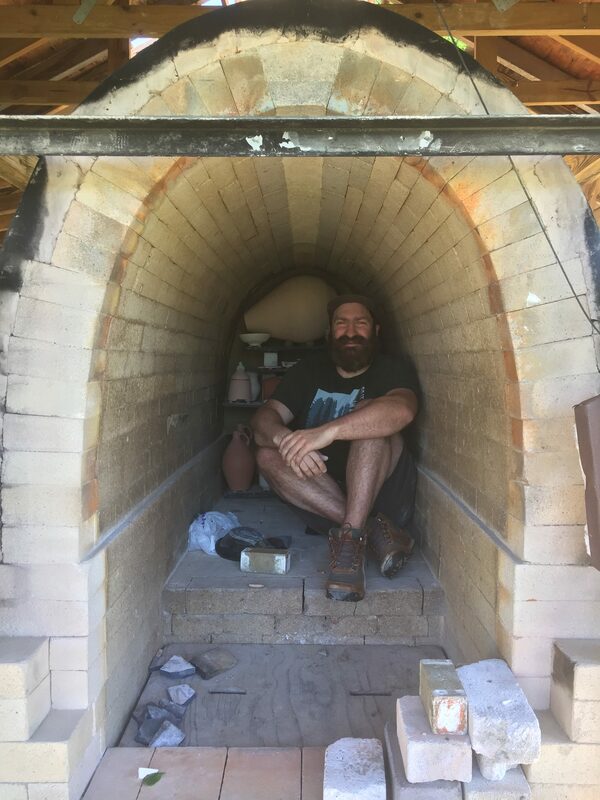 Each member of the group will be guided through the processes of wadding their work, loading the kiln, bricking up the door, firing the kiln, unloading the kiln, and cleaning their work. Current cost for renting the entire kiln is $1500. We ask for a 400$ security deposit when signing up for a date. Please contact Nathan Willever at woodkiln@tylerparkarts.org to schedule a firing date. Nathan Willever was raised in Portsmouth, New Hampshire. He holds a Bachelor of Fine Arts in Ceramics from Maine College of Art, in Portland, Maine. Nathan was a student of multiple artists during workshops at Haystack Mountain School of Crafts in Deer Isle, Maine. He has taught numerous classes and workshops on functional pottery at institutions such as The Clay Studio in Philadelphia, PA, and Ox-Bow School of Art in Saugatuck, MI. Nathan is currently a studio potter and educator living in Philadelphia, Pennsylvania.